Kabiri Bule is a Masters student with particular interests in social theory in general as well as organisational and social structures. 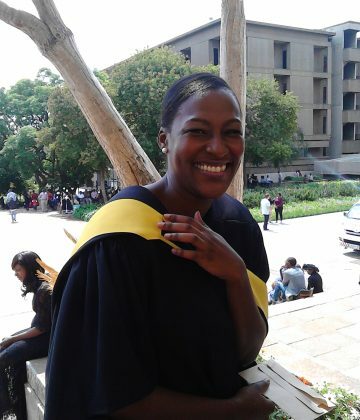 Prior to enrolling in the Masters Programme in Migration and Displacement, she worked for just over 10 years across various corporate organisations in Johannesburg. She holds a BA degree in Psychology and Sociology as well as an Honours degree in Organisational Psychology from the University of the Witwatersrand, Johannesburg.